Swamplandia! was one of the most interesting books I’ve read this year. Some of my favorite things in life are eating chocolate, learning about new things, and uninterrupted sleep (preferably through the night). Swamplandia! helped with ONE of those. It was fascinating! This ambitious novel, written by the twenty-nine year old Karen Russell, was buzzing around on some must read lists for 2012. Swamplandia! 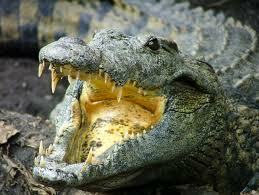 is a theme park deep in the Florida Everglades. It’s an almost fantastical place with gator wrestling, sensational Everglades memorabilia, a quasi-historical museum and an endangered family called the Bigtrees. Ava is a thirteen year old girl. She has an older brother, Kiwi, and an older sister, Osceola. Her family is normal in a sense that they love each other, they have history and they are alive. But they are also a little strange. They live isolated but fulfilling lives on one of the alleged Ten Thousand Islands (not our Ten Thousand Islands) of the Florida Everglades. The Bigtree family’s connections with the rest of the world are few. One is an old houseboat that serves as an outdated library for the very scattered community of islanders. The other is the ferry that brings tourists back and forth from the mainland to adventure in Swamplandia! Hilola Bigtree is the mother of this family and she is also the main gator wrestler! (exclamation point was not really necessary in this sentence) She’s good; a good showman and a good mother. But she dies quickly of cervical cancer leaving her family fragmented, and the struggling theme park without its headliner. Simultaneous to Hilola’s death and Swamplandia!’s fizzle is a mainland theme park opening called The World of Darkness. Tourists stop coming and the family’s way of making a living and surviving in the proud Everglades impossible due disheartening big corporation market push over. The mourning children deal with their deep loss. Kiwi leaves the island for the mainland with intentions to make money and save Swamplandia! He ends up getting a job at The World of Darkness as a janitor. 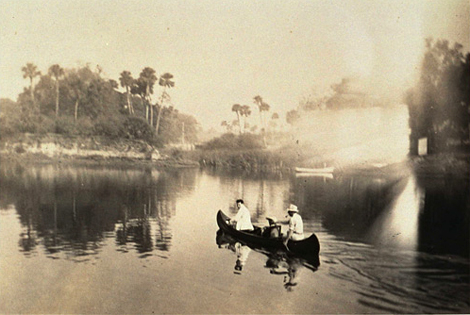 Osceola becomes a spiritualist using an Ouija board to try and contact her dead mother. Unfortunately, her mother is not accessible and she starts dating ghosts of young men. Ava trains with great diligence, dreaming to be the next Hilola Bigtree, the best gator wrestler in the world. She tends and trains the gators in their pit as hard as her thirteen-year-old self can. Their father leaves the island to save the bankrupt island. The children believe he is meeting with investors for a few weeks, but he is actually working on the mainland as well. Kiwi is gone, and Osceola and Ava are left on their own to tend to the gators and the island. Osceola starts to become more and more bizarre. She runs away, deeply in love with a dead dredgeman to elope in The Underworld, which is where dead people go. Ava wakes up alone with a note explaining the run away, and a promise ringing in her ears to her brother about keeping their whimsical sister grounded. She sets off with a strange, transient man who is known by locals as the Bird Man, a transient middle-aged man who scares away troublesome birds. The Bird Man’s appearance is serendipitous because he tells Ava he knows the way to The Underworld and can help save her sister. Evil and hardship await the siblings as they follow their own way to save their realities. In the end it seems that people must be adaptable to the way the world changes. Even if it is for the worse. Because life can always be full of love. We poled around the scummy crystals of the oyster beds and made a beeline for the mirror-like slough. I watched a line of water creep up his pole as the channel deepened, like the mercury in an old-fashioned thermometer, and then we broke into wild sun (page 160). This movie is Tim Burtonesque, complete with a creepy and unreadable Johnny Depp character. I think people would enjoy the humour and stunning beauty that Ava sees. Russell draws her alive, and gritty, although slightly more mature than thirteen would allow; she is easy to root for and connect to. Swamplandia! is thick with details. 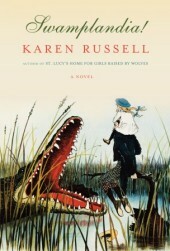 Russell knows the world of the Everglades well, and the history portrayed in the novel about the land and the people who survive there is rich and enthralling. Also, every time that Swamplandia! is printed in this lovely tome, Swamplandia! has an exclamation mark on it. It’s details like that which really won me over. This book made me do a lot of online research about the Everglades. I now want to go there someday and I love books that expose me to new and exciting places. Everglades is an amazing place! I read some cool stuff here: Everglades in Wikipedia, and the government website for the national park. I also enjoyed the theme of old vs new, of history vs progress. Swamplandia! was old-fashioned and a bit out of touch with popular culture. The World of Darkness (Read: World of Disney) represents the large-scale corporations that have all but taken over the States (and Canada). Russell also talks about survival of the fittest. The tension between these two ideas makes for a thought-provoking read. Swamplandia! was one of the most interesting books I’ve read this year.